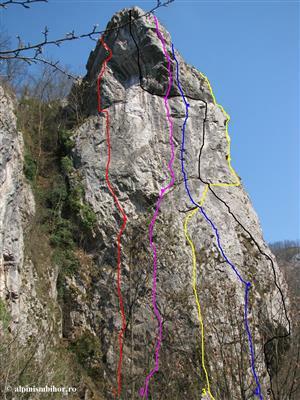 A small wall, with short routes of 2-3 lengths, but strong, with degrees in general starting from 7a (grade 8 UIAA) to free or artificial to classic. 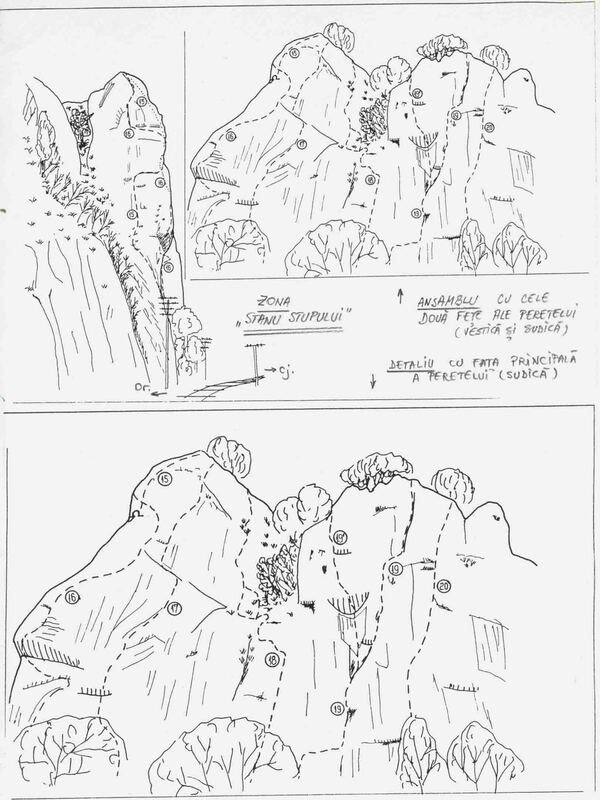 Many of the trails intersect with neighbours, so it's good to look on the topo their sites before entering into the chosen one. Access route: From the direction of Vadul Crisului to halt the Cave, from the area of the stadium they have to walk approx. 20 min. to Halt the Cave where it continues on the railroad for another 10 min. It will be able to notice a wall large and imposing. In law with the wall can be seen a path which climbs to the base of the wall. Retreat route: On the belvedere at the end of the route enters into the woods where we follow a trail that descends to the right following the tourist route, the blue dot to the railroad. Here it can be seen to the right wall Stânul the Hive.